In late May, a trickle of trekkers begins to flow through the Intermountain area. This is the beginning of a stream of hikers making their way on the Pacific Crest Trail (PCT). 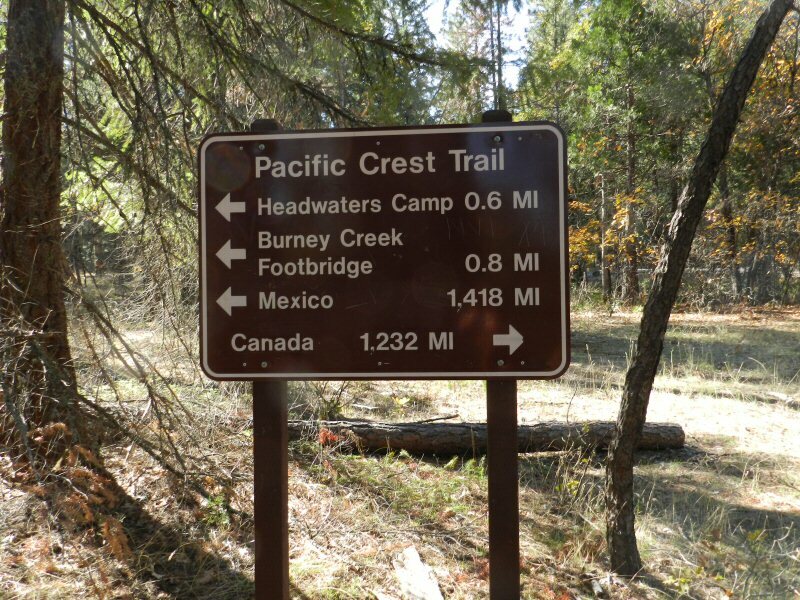 The PCT is a 2,659 mile long trail from the U.S. border with Mexico just south of Campo, California to the Canada–US border on the edge of Manning Park in British Columbia. It passes through 25 national forests and 7 national parks. 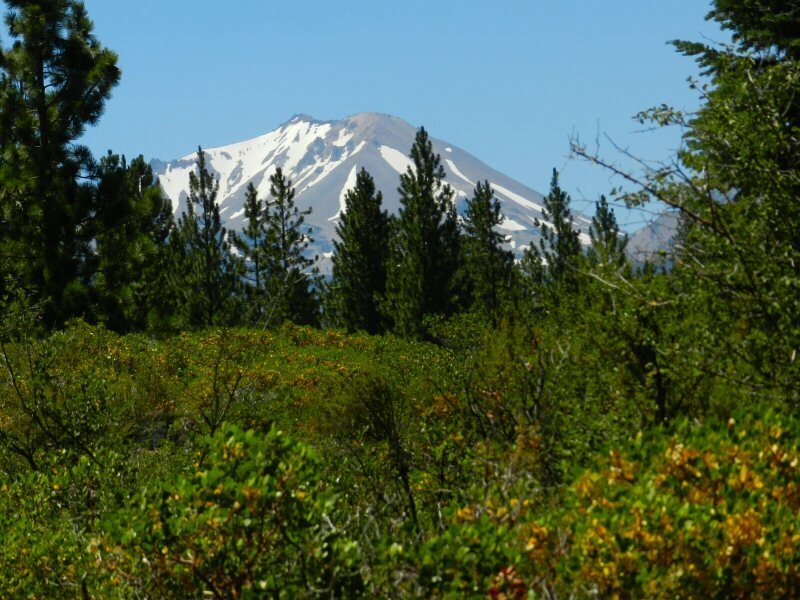 The PCT was conceived by Clinton Churchill Clarke in 1932 and received official status as a National Scenic Trail in 1968 under the National Trails System Act of 1968. The trail was officially completed in 1993. Thru hikers are those who make the journey all the way from Campo to the Canadian border. One of the first things that they do as they join the PCT community is choose colorful trail names by which they will be known throughout their journey. The journey takes about five months. Hikers generally begin the first part of their journey through the desert of Southern California in April. In order to make it to Canada by late September, they need to establish a steady pace. The pace varies with each hiker but generally averages between 20 and 25 miles a day. A few energetic hikers hike up to 30 miles a day. Sometimes the hikers take a “zero” day to rest. On “nero” days, the hikers take it easy and don’t hike the full pace that they have set. But it’s not all smiles. Even in the spring, the first part of the journey through the desert is hot. Many suffer from blisters. People develop strategies to beat the heat, often resting during the hottest part of the day and hiking at night. The next leg of the trek is through the Sierras. Depending on the snow pack, each year is different. During the drought, the trail was passable early. Last year, there was more snow, which caused a log jam in the southern Sierras as people waited for the snow to melt. Streams were high and perilous to cross. The early hikers had to cross miles of snow and camp in the cold. Some hikers, like the Brit Family Robinson, decided to “skip hike,” renting a car to drive north. 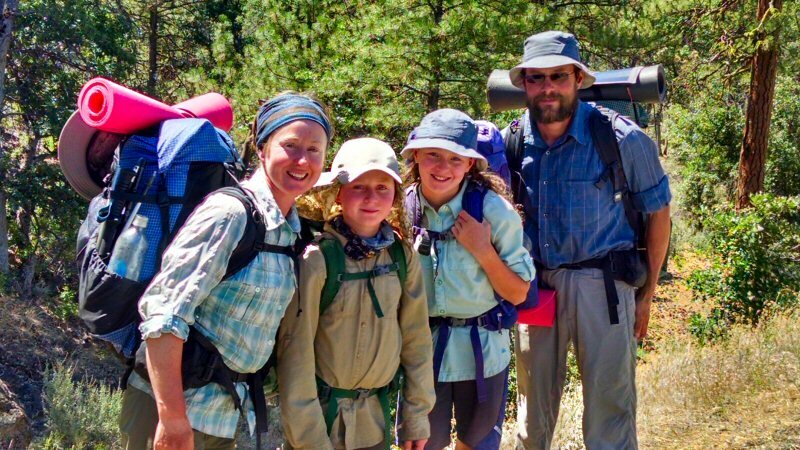 The Brit Family Robinson had two of the youngest hikers on the trail last year, Pippy Longstocking, age 12 and Captain Obvious, age 10. Their father Christopher is an international trail guide who has hiked in the Himalayas, Mongolia, Alaska, and the Andes. Other hikers, waiting for the snow to melt, congregated in towns and camps to rest and socialize. 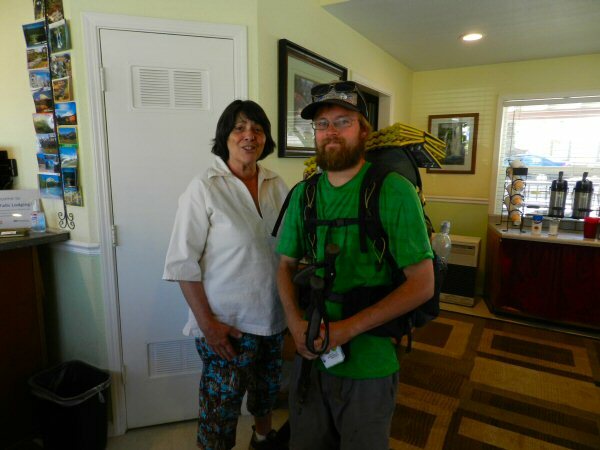 One 63 year-0ld hiker, Desert Steve from Henderson, Nevada, took the opportunity to go home and rest for two weeks before continuing on. Once the trail becomes passable, the backlogged flow of hikers streams through the Sierras. The highest altitude on the trail is 13,153 feet as it passes though Forester Pass. After passing over the Sierras, the trail meets the Cascade Mountain range near Chester, California. This is the midpoint of the journey. Crossing over Mt. Lassen the hikers enter the Pit River Watershed area as they descend to Hat Creek at Old Station. 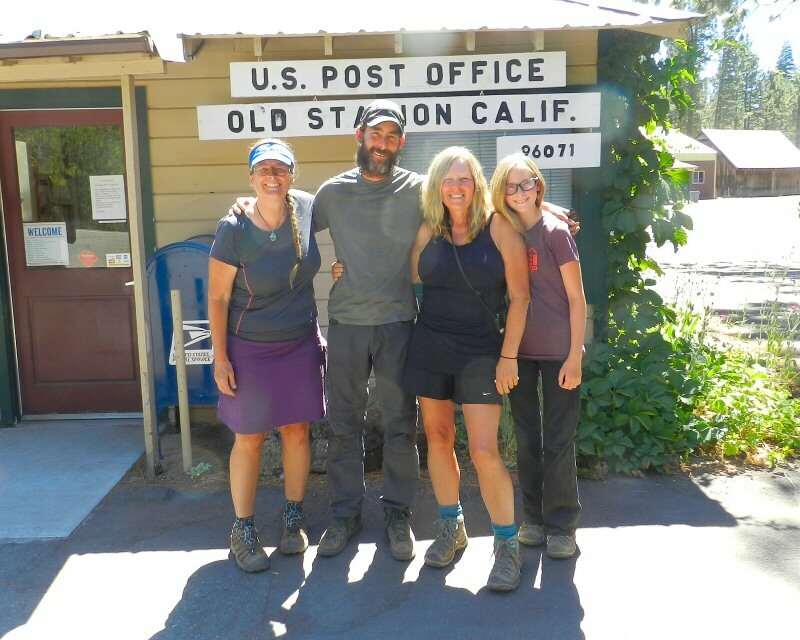 Old Station Post Office is one of the places that hikers can pick up resupply packages sent to them from friends and family. The flow of hikers through the Intermountain area reaches its crest in July and early August. By that time the summer heat has hit our area. From Old Station, hikers transverse a thirty mile waterless stretch across Hat Creek Ridge to Cassel lake. This is one of the hottest driest stretches of the PCT. 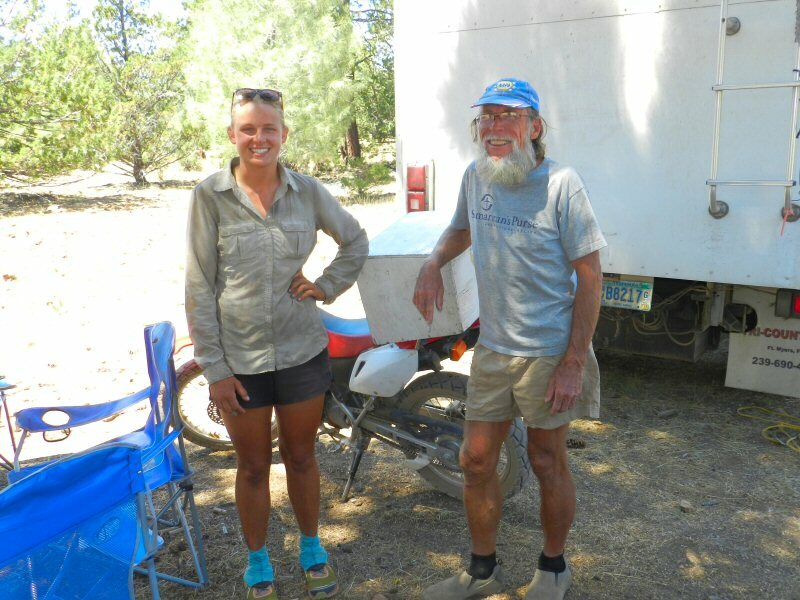 Last year during the hot spell, a trail angel, Coppertone, set up his trailer on top of the ridge, where the trail crosses Bidwell Road to supply the hikers with water, fresh fruit, and ice cream floats. Coppertone is well known for his “trail magic.” He takes his trailer and sets up at locations all the way to Canada to minister to the hikers. After crossing Hat Creek Ridge, the hikers come to Baum Lake. They can rest and get water at the Crystal Lake Fish Hatchery across the road. Then the trail goes on to cross Hwy 299 where many hikers catch rides into Burney. Burney is a convenient place for hikers to rest, resupply, pick up packages, or even meet friends and relatives mid trail. Safeway, Dollar General, MacDonald’s, and Gepetto’s are some of the most popular stops. Some hikers like to take a day off to refresh and stay at local motels such as Burney Lodging. Burney has a lot of trail angels. People have learned to recognize the large packs that PCT hikers carry to differentiate them from other hitchhikers. 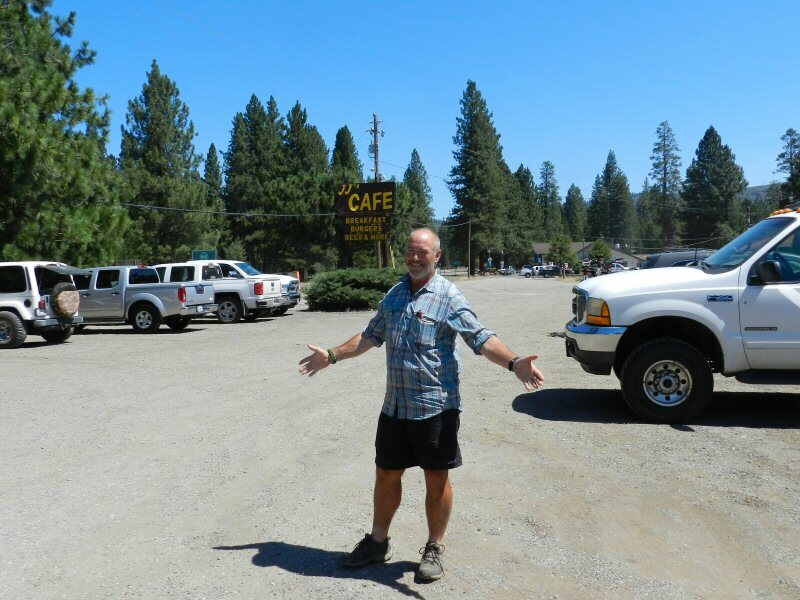 From late July into early August not a day goes by that one doesn’t see hikers walking along the highway, frequenting the restaurants and stores, or sitting outside Burney lodging. Many locals enjoy meeting the hikers and giving them rides. PCT season provides an opportunity to meet and talk with people from across the country and all around the world. 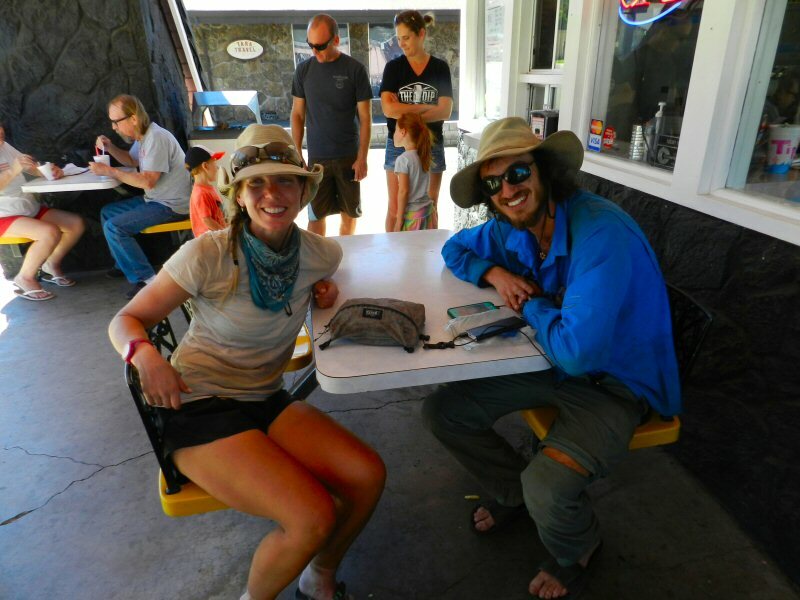 One hiker from Israel named Animal Style left his Brooks Cascadia 11 Trail-Running shoes in a man named Bob’s truck when he got a ride into Burney. Animal Style was desperate. Good shoes are a necessity on a 2500 mile hike through rough terrain. After hours of searching, he was able to locate Bob and call him on the phone. Bob had returned home to Bieber but he drove all the way back to Burney to make sure that Animal Style had his shoes. Ages of the hikers last year ranged from 9 years old to senior citizens. Most of the hikers are young college educated adventurers. Many have just finished school and are taking the opportunity to take the hike before beginning their careers or going on to graduate school. One older hiker who came through last year was Donaju from Holywood, Northern Ireland. Donaju said he was a Royal Irish Ranger who had done eleven tours in Afghanistan. He had also served in a number of other hot spots. 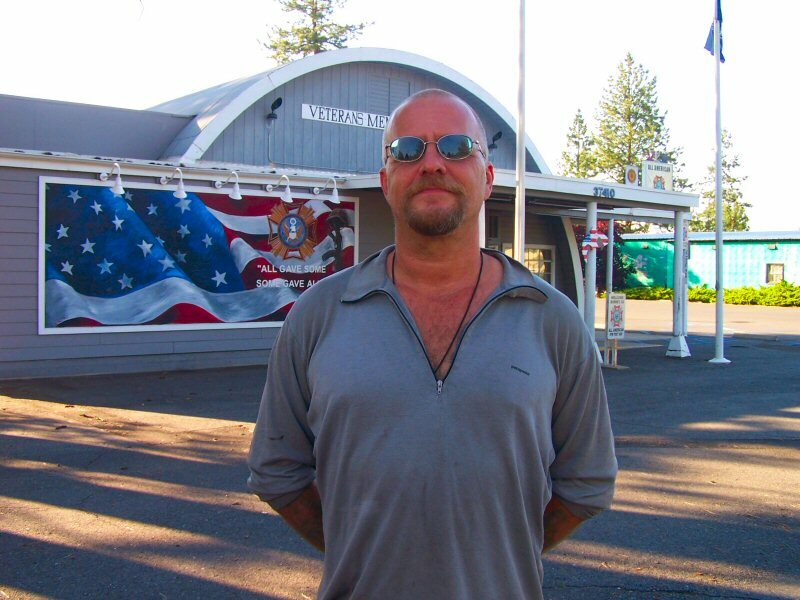 He was hiking the Pacific Crest Trail for the Wounded Warriors. Several families hiked the trail together last year. Some seniors are taking a break to reflect on their life. Some hike for the challenge. Some hike to experience the diverse natural beauty and wildlife. In addition to thru hikers there are also local hikers and section hikers. Section hikers hike only one section of the hike in a year. Then another year they may hike another section until they have hiked the entire trail. Some couples have met on the trail and later gotten married. Since 2014 traffic on the trail has grown tremendously. Sky Eyes said that over 14,000 people hiked the trail last year. One of the reasons more people are hiking is the release of the movie Wild starring Reese Witherspoon in December 2014. The movie is based on the 2012 memoir Wild: From Lost to Found on the Pacific Crest Trail by Cheryl Strayed that reached No. 1 on the New York Times bestseller list. We are fortunate to have the world pass through Pit River country on the PCT. 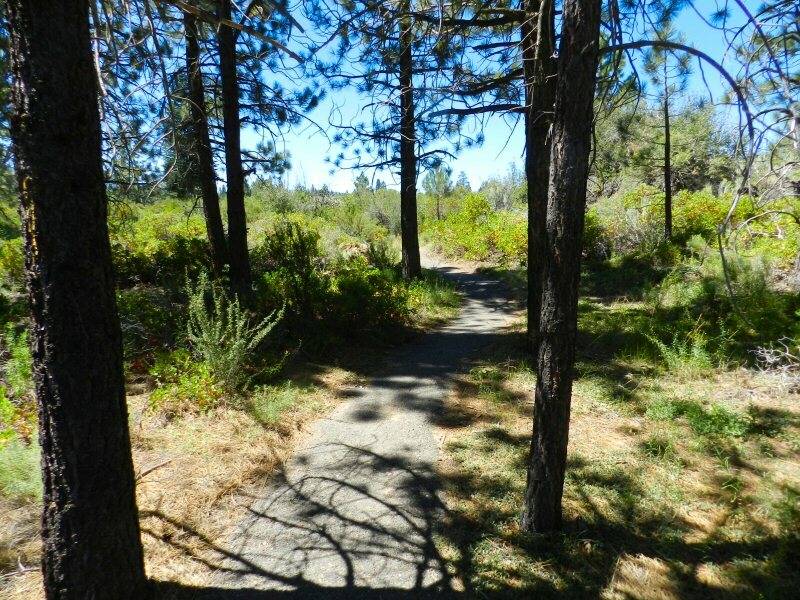 After crossing Hwy 299, the trail progresses though the woods to Lake Britton and Burney Falls Park. The park has a campground frequented by many hikers. Leaving the Park, the trail goes for a ways down Pit River Canyon and up to Rock Creek Falls. Then the trail heads northwest to Dunsmuir and then north for many more adventures in the Oregon and Washington Cascades. Get ready, PCT season is coming. 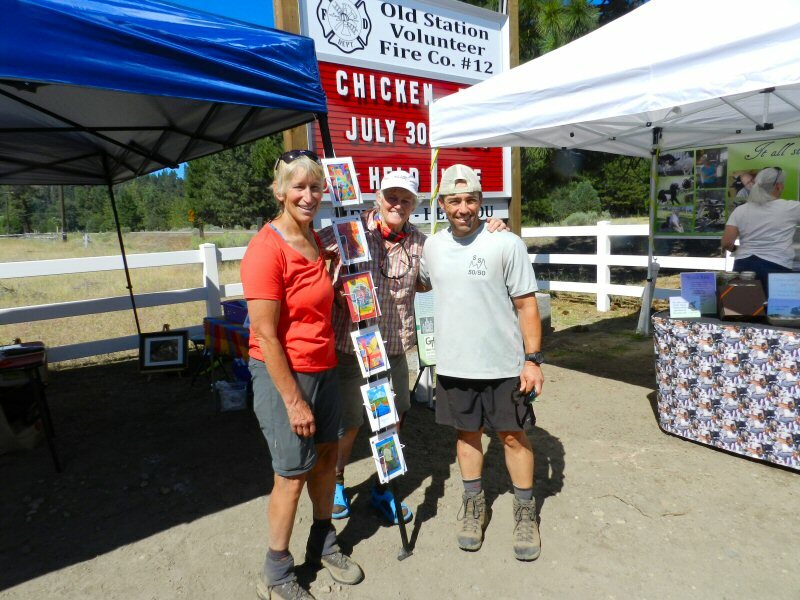 On morning of July 31, my wife Linda and I drove to Old Station for the Volunteer Fire Department’s 35 Annual Chicken Barbecue, Raffle and Craft Show. The craft show began at 10:30 a.m. and the barbecue began at 12 noon. A kind gentleman helped us set our canopy. Linda arranged her photo art, cards and artwork. We were looking forward to meeting a lot interesting people and enjoying the delicious chicken. Just before 10:30 a.m., a curious, high-spirited man from Sacramento stopped by the booth to look at Linda’s cards. Why was he high-spirited? 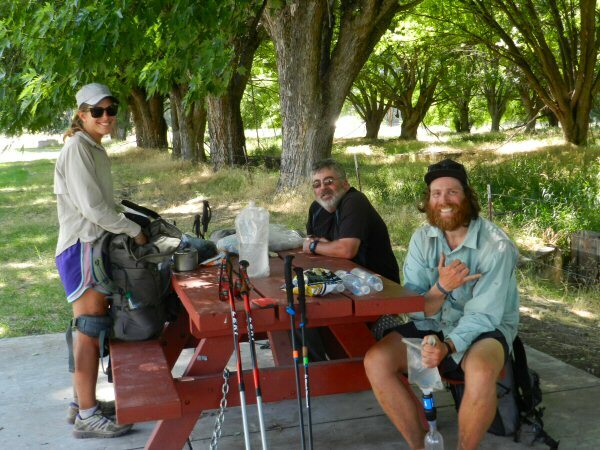 Because he and two friends had just finished a 4-day hike of one section of the Pacific Crest Trail. Their trail names were Shady Lady, Head Heart, and TBD. They had hiked from Chester to Old Station. Normally, thru hikers do the hike in two days, from Chester to Drake’s Bay and from Drake’s Bay. However, since this trio was just doing one section they didn’t push themselves too hard planning so as to arrive in Old Station just in time for a nice chicken barbecue as a reward for their labors. 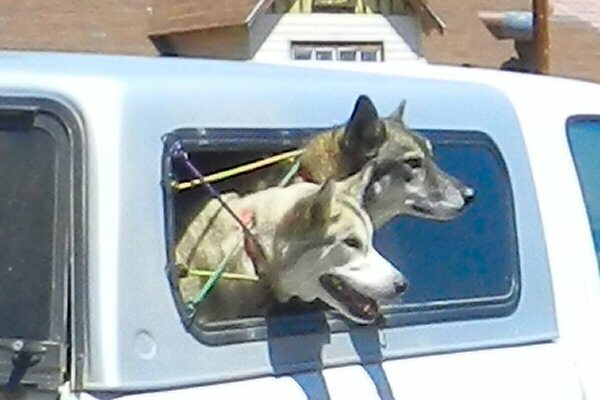 The made friends with lots of PCT hikers and a friend from Sacramento came up to give them all a ride home. 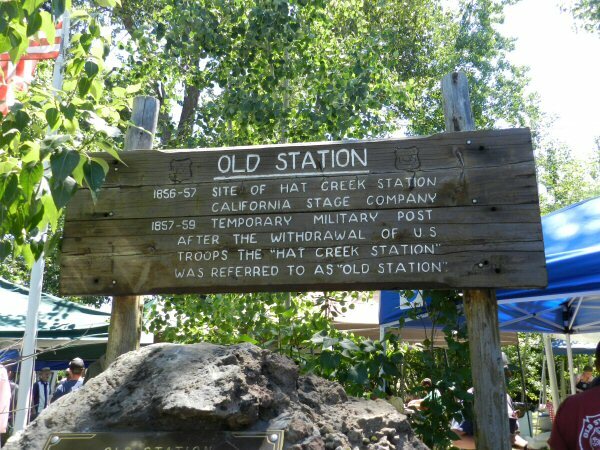 Old Station is a stop for many hikers on the PCT. Many have resupply boxes shipped to the post office and they can rest a bit before the long waterless hike over Hat Creek Rim to Burney. As I meandered round amongst the crowd of fishermen, campers, hikers, tourists, and locals who had come for the barbecue, I met a hiker from Washington State. His trail name was “Walking Home” because he was walking home. This was the second year that he was walking the trail. Last year he hiked as far as Chester. He ended the trek there because he wanted to take time off to visit his grandchildren. This year he hoped to complete the entire trail. He had come into Old Station the day before to pick up a resupply package at the post office. The Post Office was closed but he thought it would be open today from 11 a.m- 2p.m.. It was just after 11 so I gave him a ride up to the Post Office. It was still closed. Other hikers were waiting there too. Amongst them were “The Family” from Texas – Farwalker, Thunderfoot, Widowmaker, and Spinner. 13-year old Spinner is one of the young hikers on the trail this year. When I first met her mom, Widowmaker, I thought she might be Mama Bear. “No,” she said, “I’m not Mama Bear,’ but I know her. She’s a little ahead of us. I think she might be in Burney today.” Alas! I missed Mama Bear. She is hiking with her 9-year old son, the youngest thru hiker of the year. Widowmaker told me that she is happy that there are several families hiking the trail this year, amongst them Brit Family Robinson and Swiss Family Robinson. She said that many of the young hikers are “party hikers.” So it’s nice to have families too to socialize with. She also told me that there are quite a few retirees hiking the trail. One recently retired man told her that hiking the PCT is the perfect thing to do right after retiring. It’s an inexpensive vacation, you get to enjoy tremendous natural beauty, and you have plenty of time to think about your life. She told me about one pair of friends, aged 70 and 73 who were thru-hiking. One of them was wearing a diabetic pump. There certainly is a lot of diversity on the PCT! Most of the hikers waiting wanted to stay to see if someone would come to open the Post Office. Walking Home decided to go back to the barbecue to get some chicken and then come back. I dropped him back at the fire station. I wanted to get away from people for a little bit so I took a short drive up to the Mt. Lassen vista point for a short walk. On my way back, I stopped to see if the Post Office was open yet. It wasn’t. The Family was getting hungry. When I told Widowmaker that each meal had half a barbecued chicken, she jumped in the Jeep to drive down and pick up some to go meals for her family. While she got her meals, I checked on Linda. Traffic at the craft fair was slow and Linda was suffering from the heat. I talked for awhile with Elaine Lainier from the Fire Chiefs Association of Mt Shasta who had a booth to recruit firefighters. Widowmaker came out with five big to go chicken dinners and I drove her back to the Post Office. The Post Office wasn’t open yet but the postmaster had arrived and said it would be open at 1 p.m. The Family sat down to enjoy their meal. When I got back to the fire station, I bought a huge chicken dinner for Linda and I – a gigantic half chicken, potato salad, green salad, baked beans and garlic bread! Then for dessert vanilla ice cream with really flavorful strawberries. Two cups of lemonade helped to cool us off. 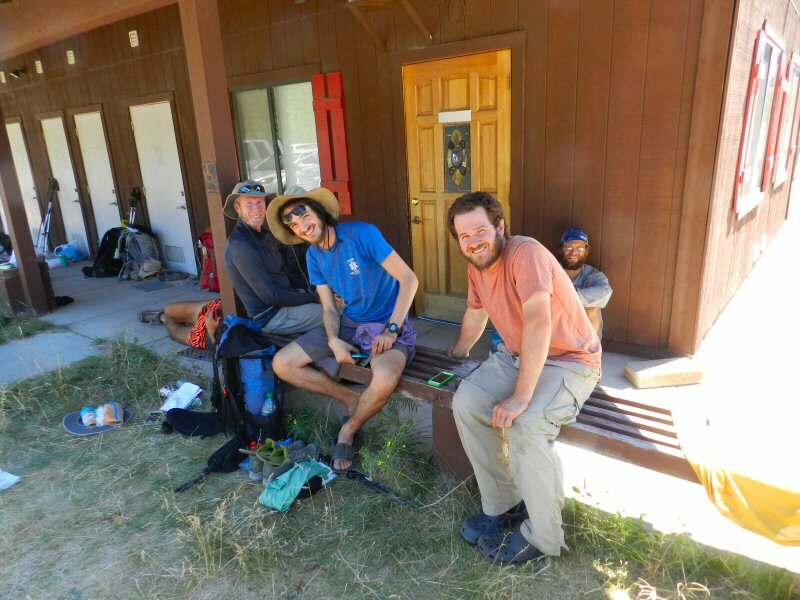 I had to park in front of the vacant building next to JJ’s, When I did I notices a bevy of PCT hikers lounging on the porch. One of them was Hawkeye from England. Another was Animal Styles from Israel. I didn’t get the other names. Several in the background were sleeping. They had deemed it too hot to hike the Hat Creek Rim and were resting till early evening. Then they planned to night hike to Burney. I gave them all a card and told them if they needed a ride into Burney the next day from the trailhead to give me a call. Later, when I was going to move my car closer to the craft show. 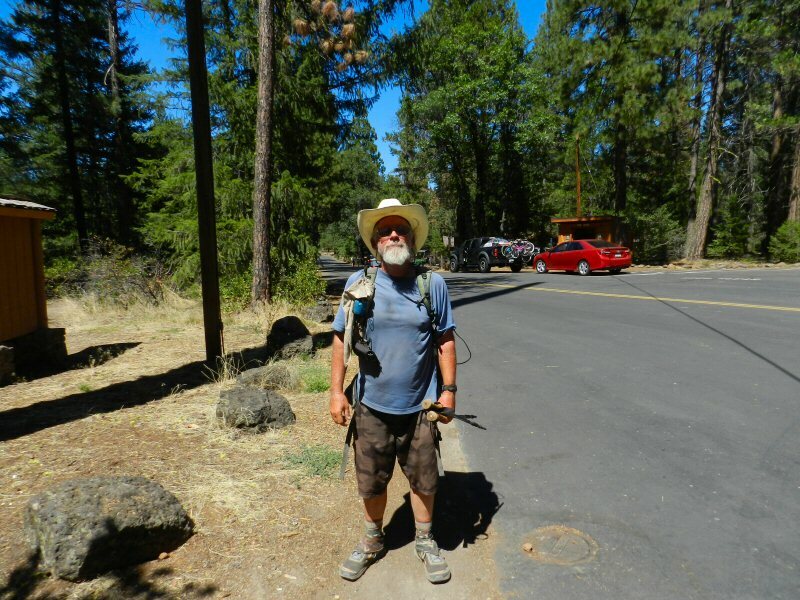 a hiker named Desert Steve approached and asked if I were the man from Burney. I said yes. He asked if I were going to Burney now because he could use a ride to Burney Falls. I told him that I hadn’t planned on leaving yet because we were set up selling stuff. But then I went over and talked with Linda. She was really hot, but she said she wanted to go one more hour and then start packing up. I told her there was a man who wanted a ride to Burney Falls and asked if she minded if I gave him a ride. “If you want to!” she replied. I went back to the area where the hikers were resting but Desert Steve had already left to try to hitch a ride. 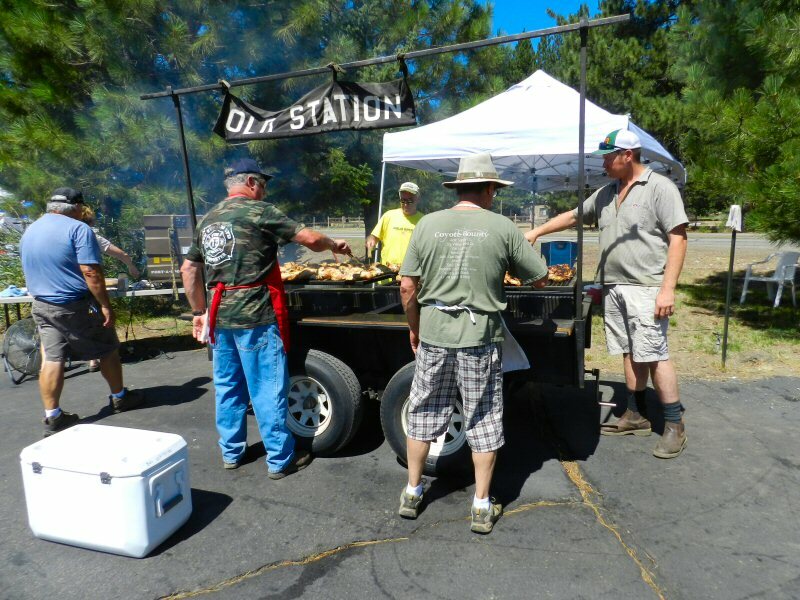 Old Station was bustling July 30 as people lined up in a steady stream from 12-5 p.m. for a delicious meal at 35th Annual Old Station Volunteer Fire Department chicken barbecue. 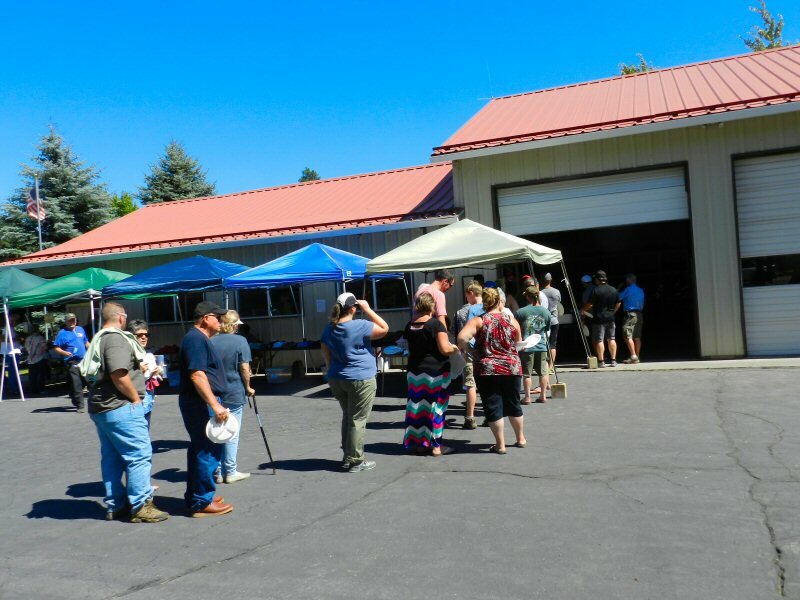 More than 400 people were served. 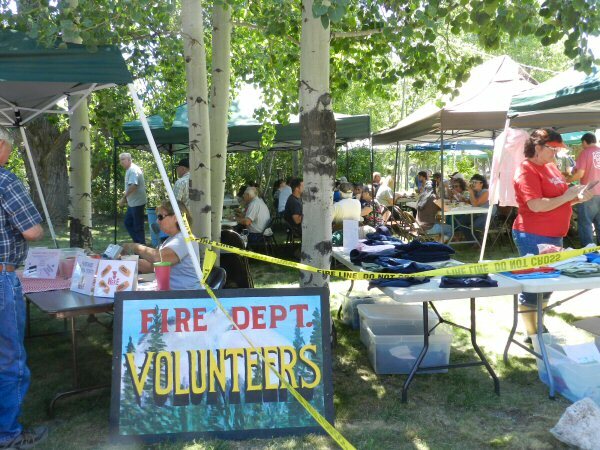 The popular summer event was held at the Old Station Volunteer Fire Station on Highway 44/89 next to JJ’s restaurant. Old Station’s official 2010 census is only 51 people but locals were joined by supporters from throughout the Intermountain area, summer residents, campers at the numerous nearby campgrounds on Hat Creek, tourists visiting Lassen Park, fishermen, day trippers from Redding and other cities throughout Northern California, as well as dozens of Pacific Crest Trail hikers who had stopped in Old Station to rest and resupply. Some visitors had come from as far away as New York, New Mexico, Texas, Illinois, Arizona, Washington State, England, and Israel. The meal was huge! For $10, each person got a half a chicken, baked beans, potato salad, green salad, pasta, and garlic bread followed by ice cream with strawberries or homemade cookies for dessert. 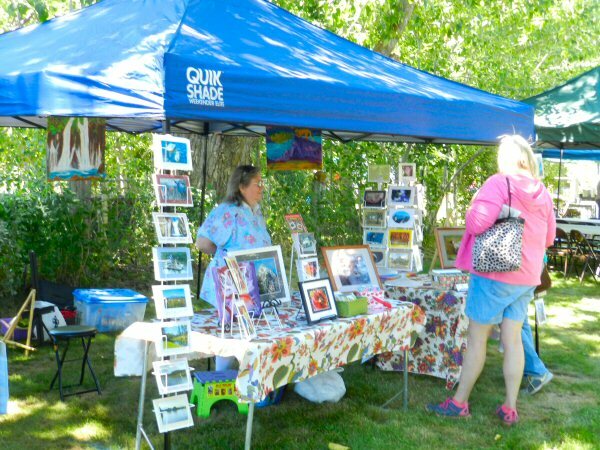 Along with the barbecue, there was a craft fair with ten vendors selling home made goat soap, hand forged metal sculptures and patio furniture, jewelry, paintings, photo art, and hand-made crafts. Each vendor donated one of their hand made creations for auction to support the fire department. There was also a raffle. All proceeds went to support the Old Station Volunteer Fire Department. Elaine Lanier from The Fire Chiefs Association of Shasta County also had a booth encouraging people to become volunteer firefighters. Autumn has arrived. The days are shorter and the temperatures are cooler. 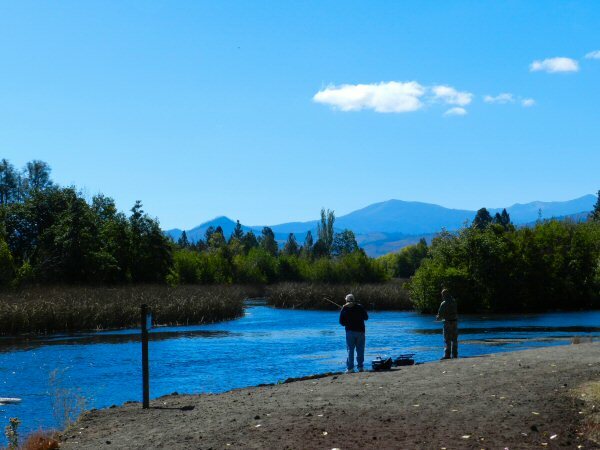 This is prime time for fishing the waters of the Pit River Basin including Hat Creek, Baum Lake, Burney Creek, and the Pit River. The temperature of the water in upper Hat Creek remains cool year round. The water in Lake Britton, Fall River, Ahjumawi State Park, and Baum Lake, however, rises in the hot months of the summer. During the warm season the bass in Lake Britton and the waters of the Ahjumawi stay in the deep cooler water or swim in the shady areas by the shore protected by logs where they are more difficult to catch. 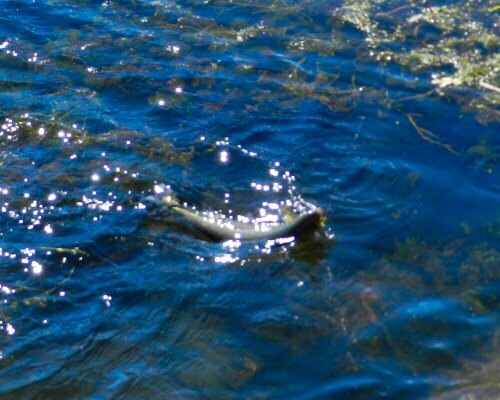 Now, as the water cools, the fish are rising in the open cooler waters. 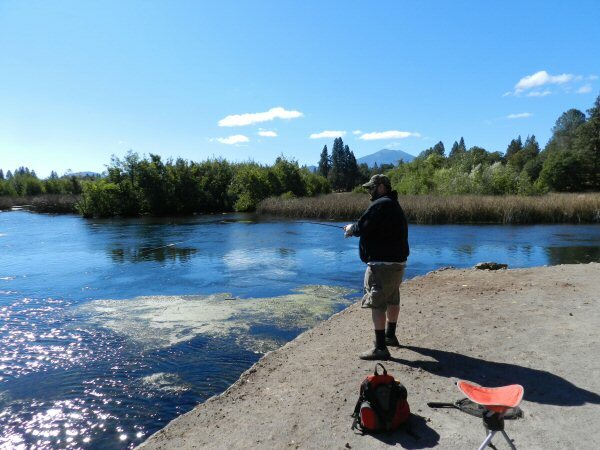 In the streams, the trout being planted by Crystal Lake Hatchery are more mature and larger and the fishing areas have fewer fishermen because the hunting season has begun. I stopped by Burney Sporting Goods and talked with Pat Taylor. 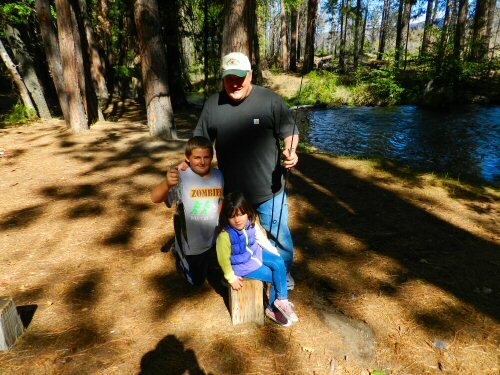 He said that trout fishing in Hat Creek was good. Several people had caught six and seven pound trout on Hat Creek. Taylor said that the fishing in Lake Britton was fair to good. He also said that people had been catching crappie. On Saturday, October 3, I drove to the West Fork of Hat Creek in Cassel. Crystal Lake Hatchery had planted the creek on Friday. Upstream from the bridge I met Bob Lee, and avid fisherman who had come up with two friends from Susanville. Lee said that this is his favorite spot to fish. Usually, he comes up every year on the first weekend in October with his younger cousin. This year his cousin couldn’t come so he brought two friends. Lee loves the outdoors and hunting and fishing. He has five children. Though his 13-month old has not yet been able to fish, he has already bought her a fishing rod. His three year old son already fishes. Next week he hopes to go to Colorado with his 15-year old daughter to hunt. His daughter got an elk tag and a deer tag and is looking forward to the opportunity to hunt with her great grandfather who lives in Colorado and hopefully get her first elk. He gently brought the fish in and removed the hook from the lip and held it up for me to catch a photo. That was only the first. A few minutes later he landed another. Lee had arrived only a few minutes before I came and in the short time I had been there had caught two nice rainbow trout. Meanwhile down toward the bridge another family had arrived. I walked down and met Ben and Raquel Searcy from San Jose. 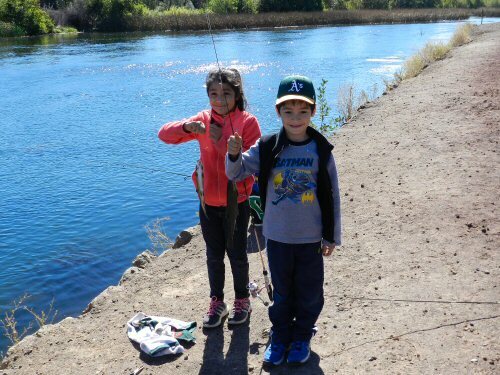 They had brought their two six-year-old twins Manuel and Samuel, and their eight-year old daughter Annmarie up for the weekend to fish. Manuel and Annemarie were very happy to show me the fish they had just caught. I could see that the fish were plentiful. I was also infected by the pride and joy the children felt showing their catch as well as the happiness that their parents experienced. The sky was a clear deep blue. The air was crisp and fresh. The landscape was intoxicating. Everyone was happy. It was a taste of heaven. I decided to drive farther up Hat Creek to see how things were. I stopped in at the Rancheria RV Park and talked with the owner, Busy Ryman. She said she hadn’t heard about any six or seven pounders but that some fishermen had caught five pounders recently. At Rim Rock Ranch in Old Station I received a similar report. I stopped in at Bridge Park and met Dan Calestini from Dixon, California. Calestini works in the Vacaville area and has some family in Fall River Mills. Whenever he can get off early Friday evening, he grabs his fishing pole and comes up to Pit River country to visit and fish. Bridge Park on Hat Creek is one of his favorite spots. On this weekend he had brought his granddaughter Clara. They had come fishing with his nephew and his grandson, William Klatt, from Fall River Mills. William raced and proudly displayed two fish. 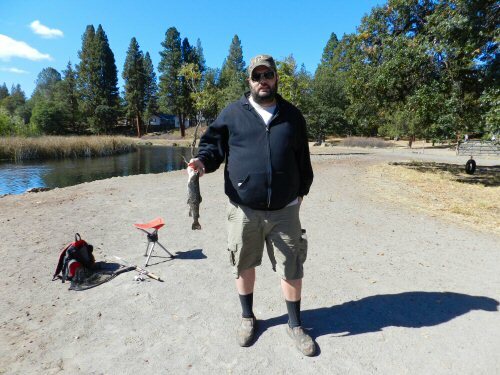 One he had caught using salmon eggs and nightcrawlers. The other his uncle had caught. Once again I felt the glee. 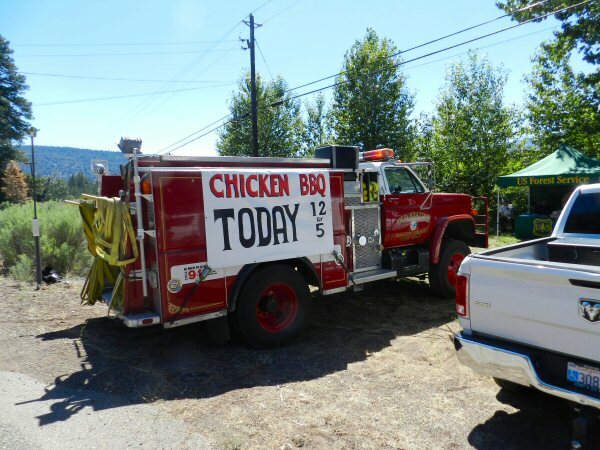 Old Station was bustling on Saturday July 25th as more than 500 people attended a chicken barbecue from noon to 5 p.m. to support the Old Station Volunteer Fire Department. 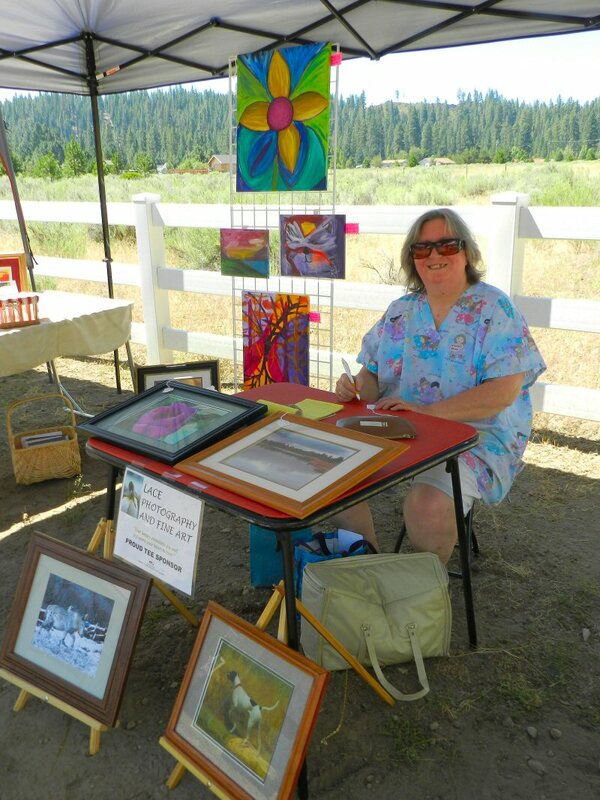 The event took place at Rim Rock Ranch on Hwy 44 and 89 not far from Lassen Park. More than 50 volunteers pooled their talents and efforts to make the event a success. The barbecue provided a huge grilled half chicken, baked beans, potato salad, green salad, coleslaw, toasted garlic bread and strawberry shortcake. The crowd included people from the local area, Burney, Fall River Mills, Cassel, folks from Sacramento and the Bay Area, day trippers from Redding, visitors from Texas and tourists from as far away as Germany. Local crafters were set up all day, providing a festive fair-like atmosphere to the affair. 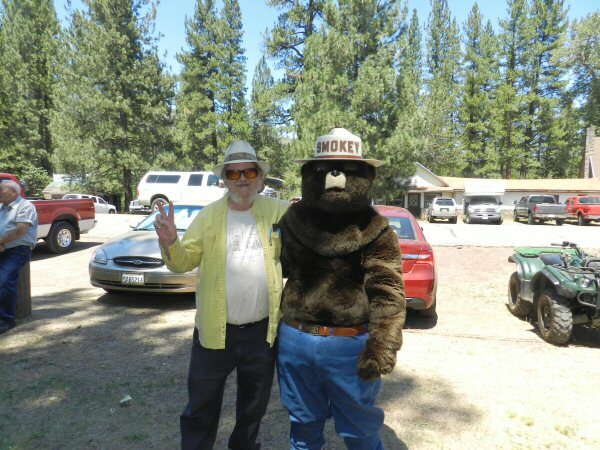 The US Forest Service had an information booth and handed out Smokey the Bear hats to youngsters. Smokey the Bear himself roamed the crowd spreading the message of fire prevention and posing for pictures. The event concluded at 5 p.m. with a raffle for prizes including a gas barbecue grill. All proceeds from the day’s activity go to support the local Old Station Volunteer Fire Department.